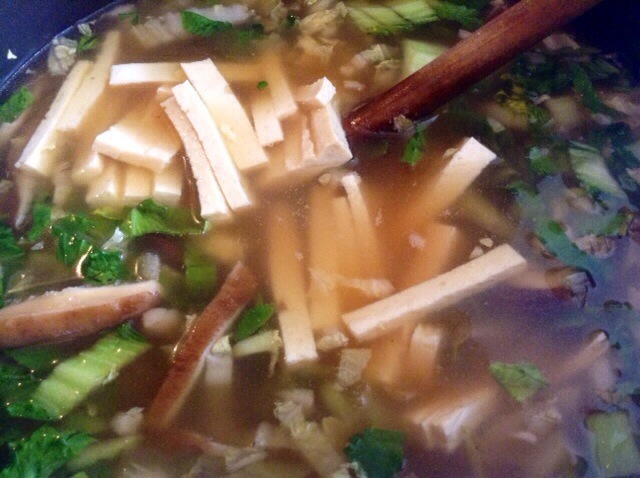 Baby Bokchoy & Shitake Mushroom Soup! 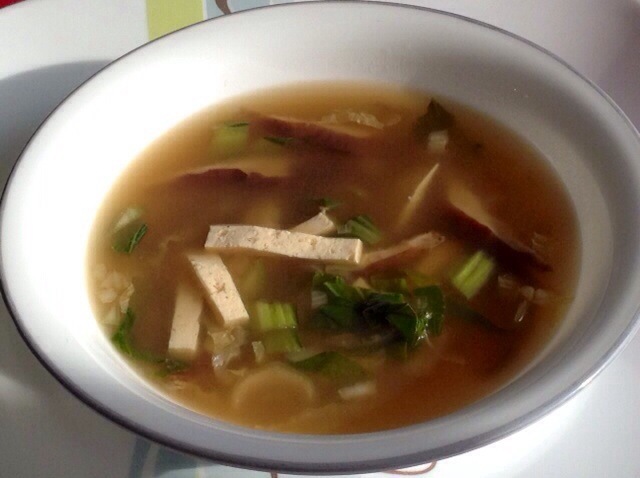 A simple comforting vegetarian soup made using all fresh ingredients…baby bokchoy, shiitake mushrooms and napa cabbage, low on calories yet high on flavor! 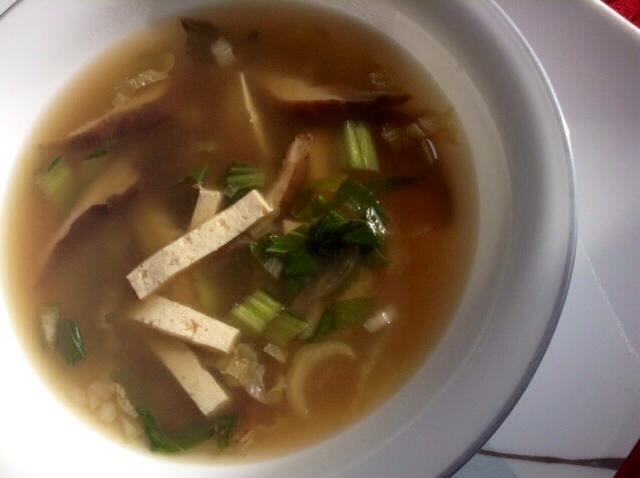 Many times I take the easy way out & use ready soup stock…but here I decided to use the flavorful stalks of the Shitake mushrooms to create the broth for the soup with excellent results!! 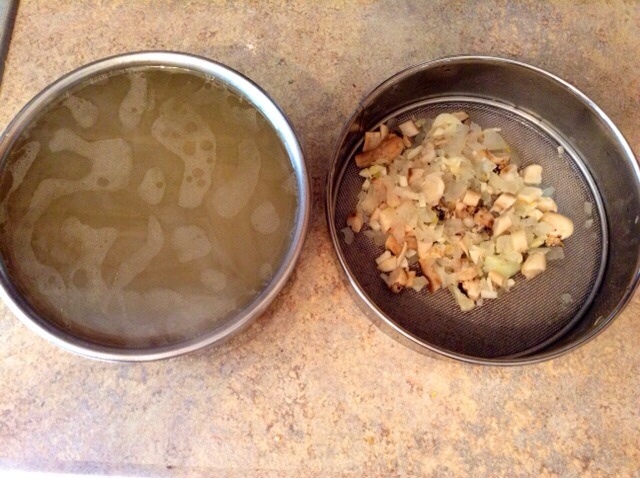 Heat a tsp of oil, add minced ginger, garlic and 1 small finely chopped onion. 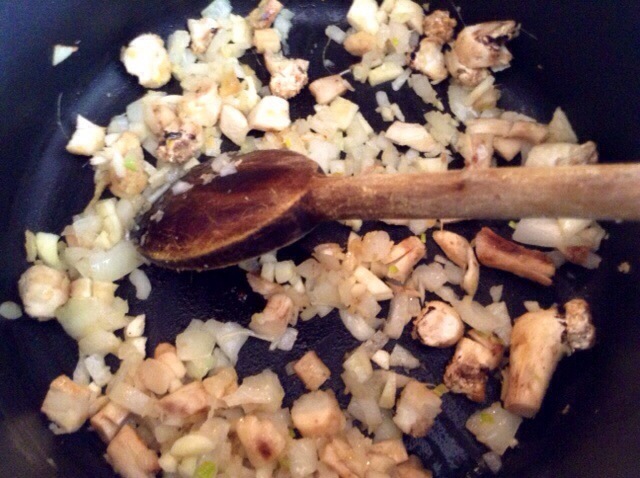 Sauté for 2 minutes. 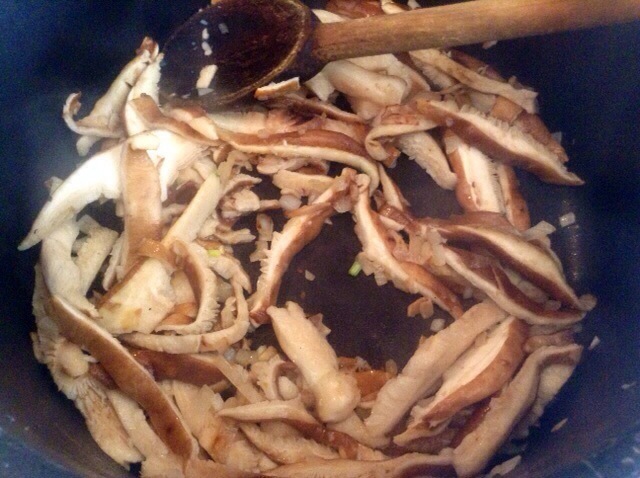 Then add chopped mushroom stalks and cook for another minute. Add about 6 cups water and bring to boil. 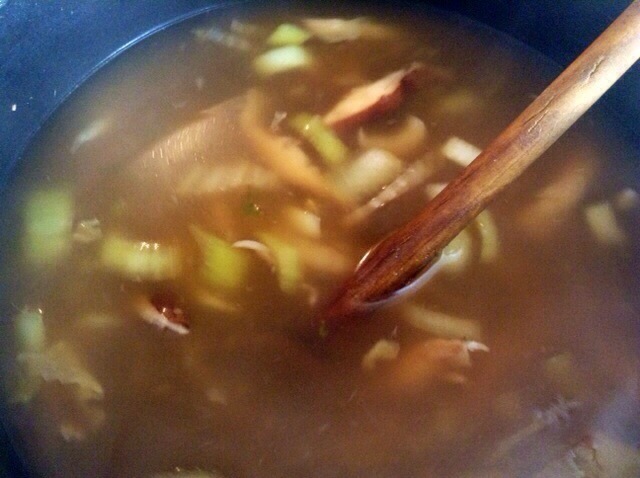 Simmer for 20 minutes. 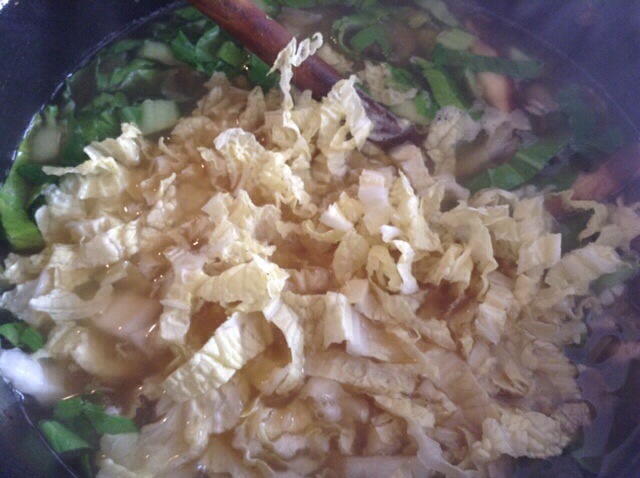 After about 20’minutes…Strain water which has now become flavorful stock, and throw away the boiled veggies. 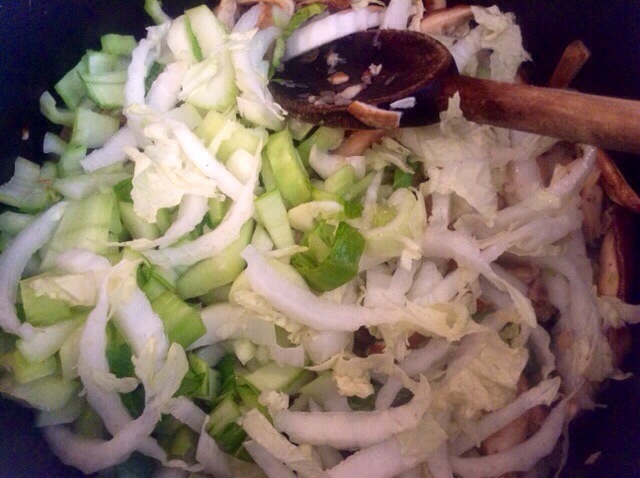 Add the crunchy stem portion of the bokchoy and cabbage, reserving the front tender leaves to be added later. Cook for another 2 minutes. 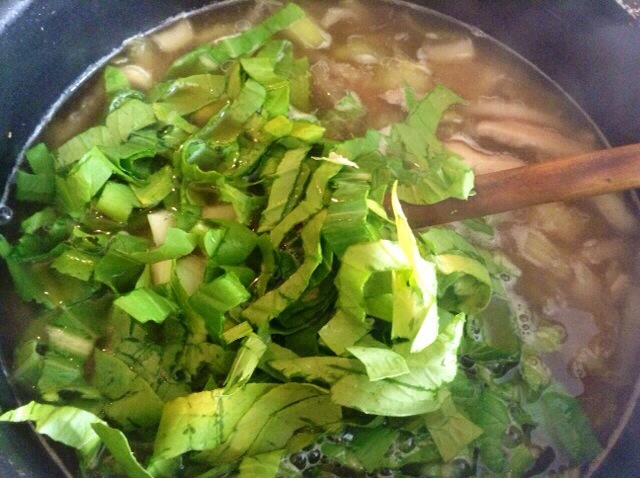 Once the soup comes to boil, add the tender bokchoy leaves. 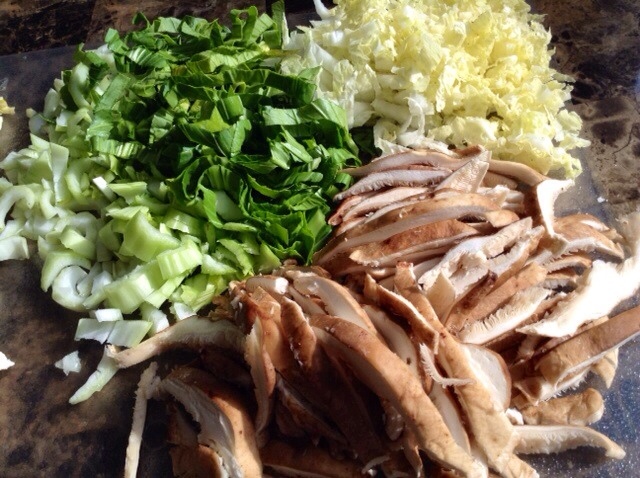 PS: You can also add boiled noodles..to make it a complete meal!